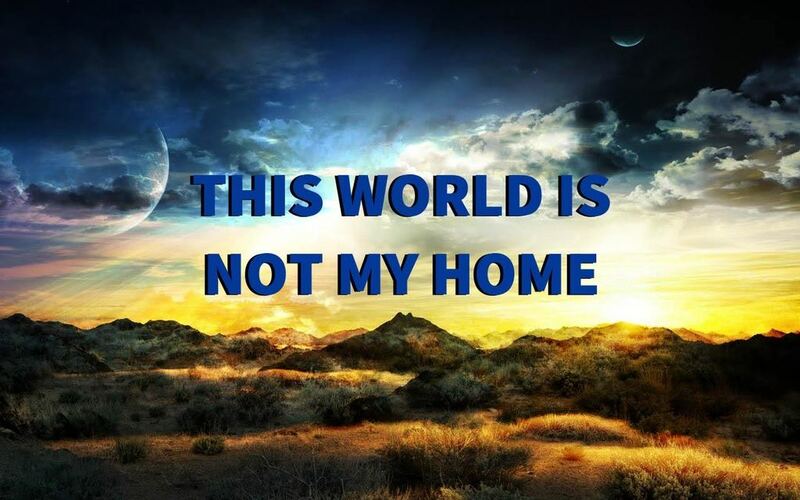 This world you seem to live in is not home to you. And somewhere in your mind you know that this is true. A memory of home keeps haunting you, as if there were a place that called you to return, although you do not recognize the voice, nor what it is the voice reminds you of. Yet still you feel an alien here, from somewhere all unknown. Nothing so definite that you could say with certainty you are an exile here. Just a persistent feeling, sometimes not more than a tiny throb, at other times hardly remembered, actively dismissed, but surely to return to mind again (W-pI.182.1). No one who comes here but must still have hope, some lingering illusion, or some dream that there is something outside of himself that will bring happiness and peace to him. … And thus he wanders aimlessly about, in search of something that he cannot find, believing that he is what he is not. The lingering illusion will impel him to seek out a thousand idols, and to seek beyond them for a thousand more (T-29.VII.2:1,5; 3:1). Yet this quest never results in our discovering from where this abstract feeling of alienation is truly emanating: the belief we have separated from God, our Creator and Source. And so we spend a significant portion of our lives either in searching to pinpoint the exact nature of this discomfort, or in giving up the search rather early, trying to mold ourselves to fit into this alien world and adapt ourselves to its multitudinous pathways. In this article we should like to discuss the two ways in which we spend the time—the time we call “Our Life”—from the viewpoint of the world (the ego), and from the viewpoint of the Course (the Holy Spirit). A Course in Miracles helps us to understand that in truth there is no real search here, only a sorting out and adoption of goals and roles that are directed towards making our individual existence in the world more successful, more pleasurable, and less painful. Moreover, the world looks with favor on individuals who adapt to their culture, class, community, and country. Striking out on one’s own and flouting the unwritten rules is not generally smiled on with approval, and is likely to be dismissed as eccentric or even sociopathic. The search for existential meaning is not considered a serious or appropriate way to spend one’s life, unless one is a philosopher. Thus the message reaches each generation in the same way, wherein the sign of maturity is becoming a good, productive, taxpaying citizen of one’s country. However, if we rebel, because we “march to a different drummer,” all our energies are directed towards rebellion and setting up an alternative lifestyle and proving what society and our family expected of us was wrong to begin with. In this way we end up proving we were right all along about our separation and alienated state of existence. But the search for meaning still continues, and inner discomfort is still our strong experience. It is to escape from that pain that we are impelled to distract ourselves in the lifestyle we have chosen, so that this aching feeling will be pushed out of awareness and laser-beamed out of existence. And here the world offers us all the distractions we could ever dream of. We can direct ourselves into any of the many roles it offers, from hermit to family person, ascetic to licentious indulger of the senses, sinner to holy person, indolent to workaholic, “nobody” to “somebody,” coward to brave warrior, ignorant dolt to scholar, and from an orientation of selfishness to one of selfless service, and any or every role in between. And when we have finally accomplished all of the goals and roles that we have set up for ourselves, traditional and non-traditional alike, the inner ache and emptiness become even more pronounced. The search for meaning now takes on a new and desperate impetus. What is to be done now? What can be done now? Perhaps you would prefer to try them all, before you really learn they are but one. The roads this world can offer seem to be quite large in number, but the time must come when everyone begins to see how like they are to one another (T-31.IV.3:2-3). And thus we are finally ready to accept the thought that “there must be a better way” (T-2.III.3:6). When we look at this almost universal situation from the perspective of A Course in Miracles, we can begin to discern with clarity that we have been much mistaken. We have sought in the wrong places, under the guidance of the wrong teacher, believing that we can substitute one illusion for another and find happiness by silencing that inner discomfort with the ego’s new toys of specialness. When you made visible what is not true, what is true became invisible to you (T-12.VIII.3:1). Yet as strangers in a strange world, how could we believe anything else? Clearly then, to search for happiness, peace, or fulfillment here must result in disillusionment, for how could this not come from pursuing illusions? It takes great courage to look at this insanity, since we have put so much time and effort into making this dream real. It takes great determination and faith to examine all the beliefs and hopes we had invested in this world, and realize that they were but defenses against the truth of God’s Love that the Holy Spirit holds out for us in our right minds. And it takes the willingness to admit that we were wrong in having chosen the ego’s thought system of separation and the “gifts” it deceitfully held out to us in its false promises of finding hope and meaning in this world. In this state of humility, we finally call out for help, admitting that all our ways have not worked, and that our lifetime search for meaning has not produced any meaningful results. It is at this point that we are ready for a message of light that can bring the dawning of the thought that there is no hope for meaning in a dreamworld of illusions. This thought allows us to direct our search away from the world at last, and becomes the invitation to the Holy Spirit, Whose Presence in our right minds carries the memory of our true Home, reminding us that we “are at home in God, dreaming of exile” (T-10.I.2:1). This Presence of Love reminds us that we are dreaming a dream—a nightmare—the content of which is not true (T-28.II.7:1). Furthermore, we are informed that there is a Correction thought in our right minds for each misthought that the ego has convinced us to accept. In fact, we are told that we are not our egos, and therefore we can withdraw our allegiance from this false self in any instant and place it in our right minds. In this process we become aware that there is a part of our minds that freely chooses whether to listen to the lies of the ego or the truth of the Holy Spirit. We call this part of our minds the decision maker. No compromise in this is possible. There is either a god of fear or One of Love. The world attempts a thousand compromises, and will attempt a thousand more. Not one can be acceptable to God’s teachers, because not one could be acceptable to God. He did not make death because He did not make fear. Both are equally meaningless to Him (M-27.4:5-10). Always mindful of asking for help of Jesus or the Holy Spirit, we have finally found a new meaning and hope in our lives: to become enlightened to the truth. The focus in our lives becomes asking for help to change our attitudes and question our values, and to accept forgiveness as our one function and purpose. For it is this shift from our wrong to our right minds that removes the barriers to our awareness and recognition of the truth. As the Course states: “Enlightenment is but a recognition, not a change at all” (W-pI.188.1:4). Therefore, rather than being distraught at discovering that this world and body are not our home, we become “happy learners.” In glad acknowledgment of our new Teacher, we realize that the meaning of our lives is to accept the happy dreams of the Holy Spirit as a replacement for the nightmare dreams the ego had offered us. As Jesus comforts us, in words that describe our crossing the bridge to the real world: “And you will think, in glad astonishment, that for all this you gave up nothing!” (T-16.VI.11:4). We are thus happy to learn that all our efforts can now be aligned with the purpose of accepting the Atonement for ourselves. We are taught by Jesus that this is a process of undoing, wherein all the thoughts that we think we think apart from God will be gently undone by the forgiveness the Holy Spirit holds out to us, Who asks only that we accept it from His loving hands. And day by day, hour by hour, as all of our unconscious thoughts of the wrong mind surface into our conscious awareness, we now have a method whereby we can allow them to be removed for us. Thus our lives come to reflect the only true meaning and hope that we could possibly attain: to accept our Self as God created us, and have the shabby image we made up be undone and replaced by the resplendence of Christ. Thus we awaken to the fact that the real world is our home away from Home, from which God takes the “last step,” reaching down and raising us unto Himself (T-11.VIII.15:5).